Friday, Aug 10th: Prime Minister Jacinda Ardern and Associate Minister of the Environment, Eugenie Sage have today announced a proposal to phase out single use plastic bags by 2019. Greenpeace is celebrating the Government’s announcement on single use plastic bags as "a win for people power and the first big step towards addressing marine plastic pollution". "This could be a major leap forward in turning the tide on ocean plastic pollution and an important first step in protecting marine life such as sea turtles and whales, from the growing plastic waste epidemic," says Emily Hunter, Oceans Campaigner at Greenpeace. "In growing numbers over the last decade, New Zealanders have been calling for a ban on single use plastic bags. Today marks the beginning of the end for over 2 billion single-use plastic bags that clog our communities, coasts, rubbish dumps and oceans each year," says Hunter. 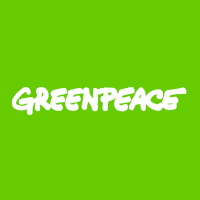 Greenpeace will be encouraging people to make submissions to ensure that the ban is strong and comprehensive. Hunter says "that means prohibiting retailers from offering plastic carrier bags unless they’re designed for reusability of at least 125 uses, and preventing use of biodegradable and compostable bags to replace plastic bags." "Today’s bag ban announcement is a great first step, but New Zealand needs a broad and comprehensive strategy to eliminate all sources of plastic pollution," says Hunter. "The government’s efforts needs to begin with a ban on plastic bags, but quickly move on to eliminate other single use plastic offenders like coffee stirrers, straws and cutlery and then setting up a nationwide container deposit scheme for drink bottle collection," says Hunter. "Up to 12.7 million metric tonnes of plastic waste enter the ocean every year - that’s the equivalent of one garbage truck every minute and single use plastic bags are just the tip of the iceberg"
"Given the urgency and scale of the problem, there’s an opportunity for New Zealand to become a world leader and demonstrate the strategic vision required to tackle the plastic crisis," says Hunter.